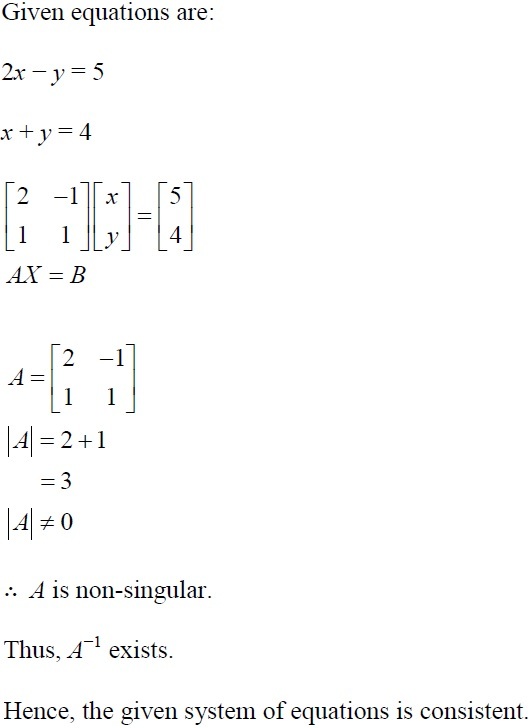 Class 12 Maths NCERT Solutions for Chapter 4 – Determinant (Exercise 4.6) are available here. 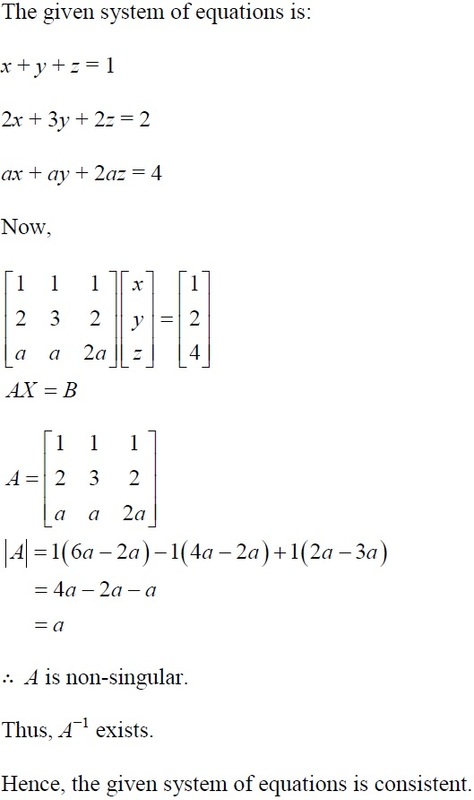 In this article, you will get solutions from question number 1 to question number 6 of the exercise. These questions are very important for CBSE Class 12 Maths board exam. 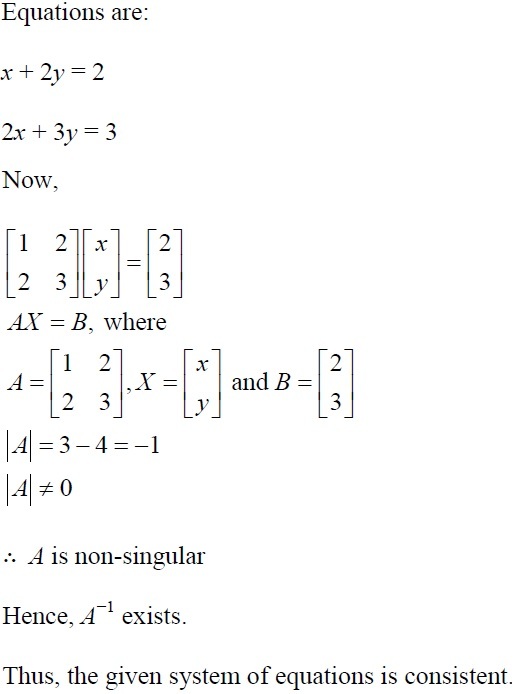 Get NCERT Solutions for Class 12 Maths Chapter 4 – Determinant (Exercise 4.6). 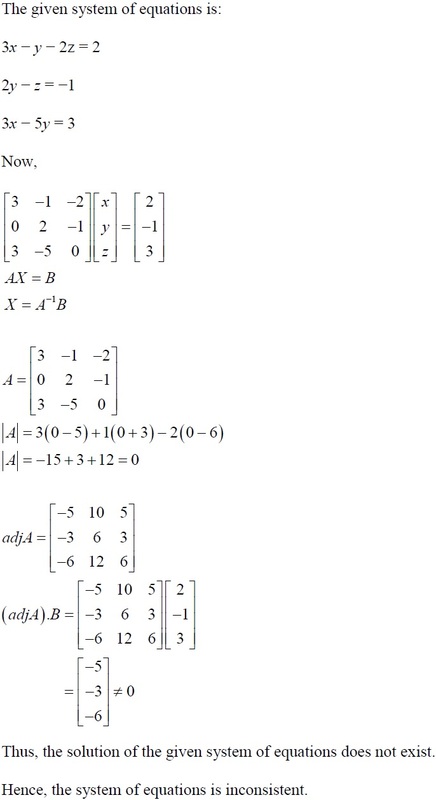 Here, students will get solutions from question number 1 to question number 6. 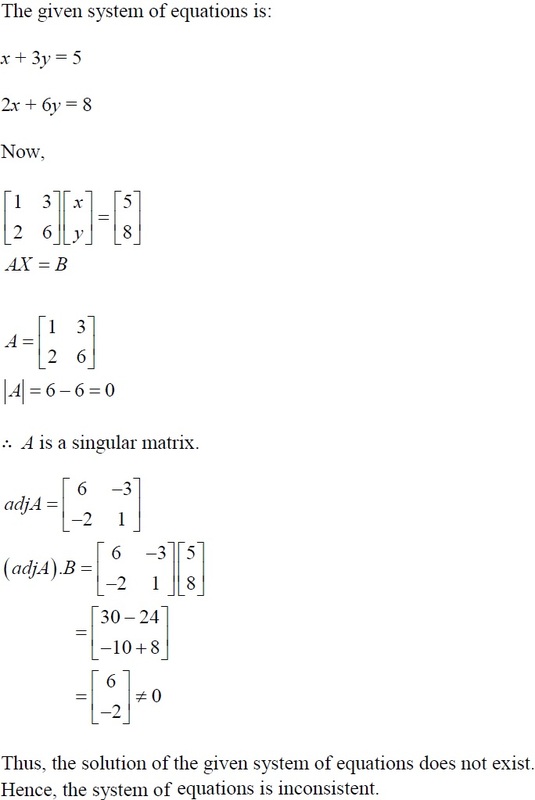 In these questions, students have to examine the consistency of the system of equations using Determinants and Matrices. 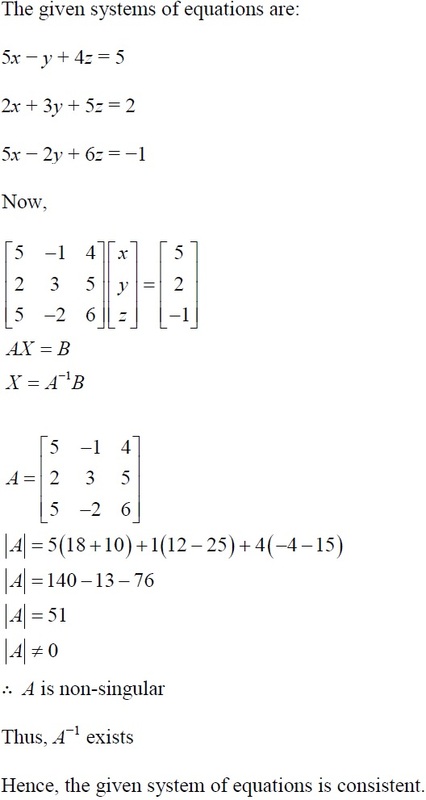 These questions are very important for CBSE Class 12 Maths board exam. Examine the consistency of the system of equations in Exercises 1 to 6.